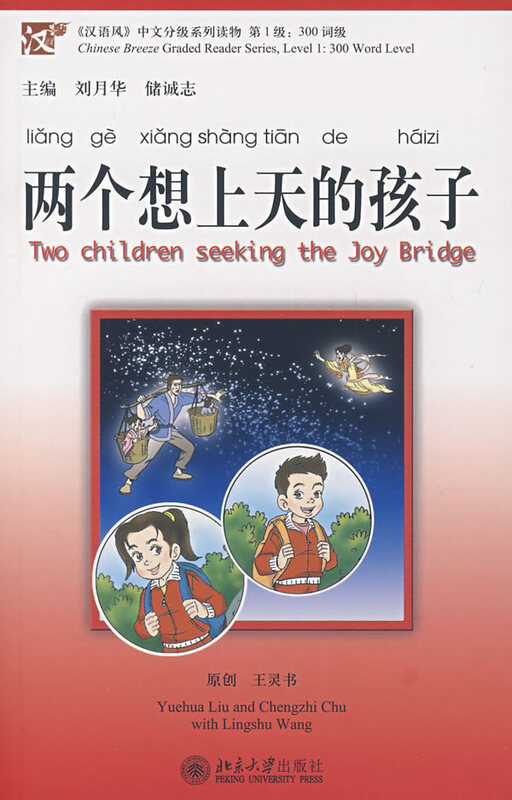 Two Children Seeking the Joy Bridge is in the first level of Chinese Breez e which contains approximately 300 words. Description of the book: Two children, one aged seven and the other eight, run away to the airport to buy “air-tickets”. Beyond their wildest dreams, crooks call their parents and demand ransom! And of course, nobody even knows the location of the Joy Bridge that the two children seek to visit. A mystery adventure sure to thrill and delight readers! Level 1: Whom Do You Like More? Level 1: Wrong, Wrong, Wrong! Level 1: Can I Dance With You? Copyright © 2019 Chinese Breeze.